No. 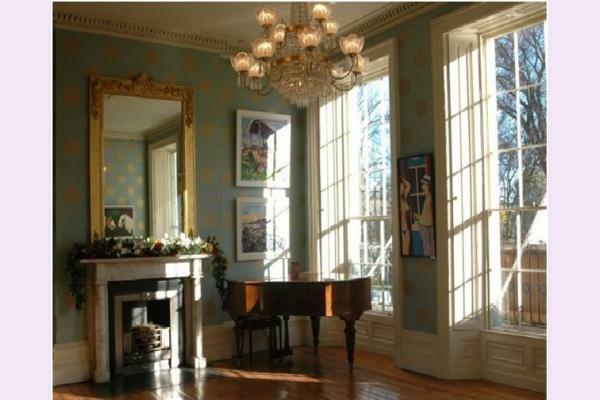 2 Pery Square; a prestigious building, superb location, elegant décor and exceptional facilities. With this special combination, No. 2 can undoubtedly claim its place as a premier Georgian House that is a pleasure to visit and enjoy. The Georgian House & Garden was restored by Limerick Civic Trust during the period 1996-1999. The Trust specialised in giving exemplary example in the conservation and preservation of Limerick’s historical architecture and in the improvement of the city’s environment. Although the restoration of No. 2 Pery Square to its original state is its most ambitious venture to date, it is but one of over 126 successfully completed projects undertaken by The Trust since its inception in 1983. The house can cater for 60 seated and for up to 100 standing. A full food and wine menu is available on request. Venue hire will be subject to a preliminary meeting. THE GEORGIAN HOUSE & GARDEN IS CURRENTLY CLOSED. However, private booking options are available to you.